Enjoy the retro look and feel of your first bean bag with the glossy Bean Bag Collection. 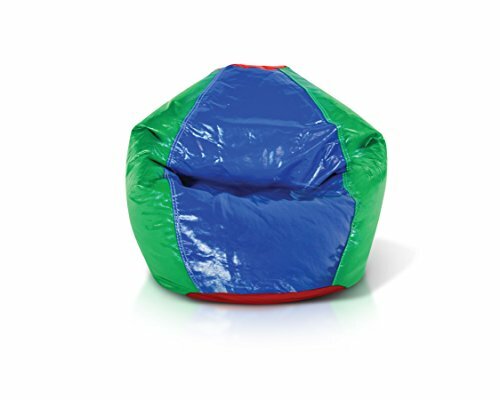 Whether lounging in front of the TV, reading a good book, or sitting with the family and sharing stories, this glossy bean bag is the perfect place to relax. Give as a gift or keep for yourself, either way, you are going to love the versatile and easy to clean vinyl material. The double-stitched, shiny vinyl panels are durable, and the childproof safety zipper will keep the contents and your family safe. Available in a variety of colors in Junior and Adult Large.